Once you have your Ins and Outs selected on a clip in the Source Monitor and in the timeline (see lesson 2), hitting V will Splice-In the clip. The clip from the Source Monitor will push down everything on the timeline (or just the track if your tracks are unlocked) from the In Point on the timeline. This works great when you want to insert a shot between other ones. When you use Splice-In imagine you are keeping everything in tact and you are inserting the new clip and pushing everything down the timeline. Your timeline will grow in its total length. 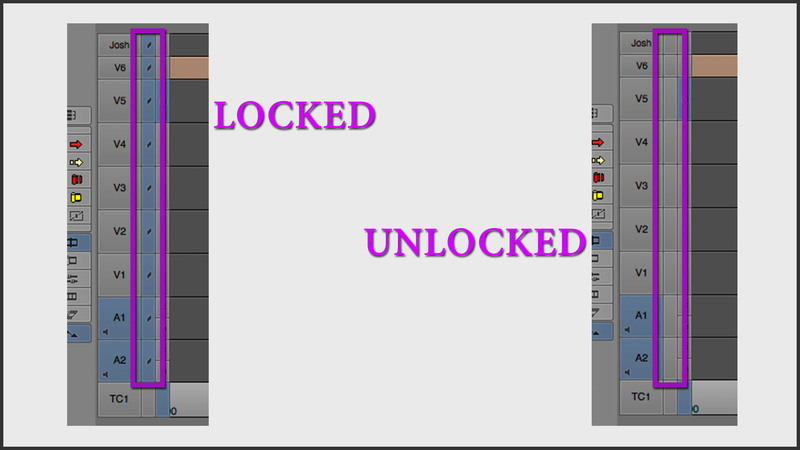 Overwrite also places a clip in the timeline from the Source Monitor. However it covers up whatever is in its path. If you want to replace a clip on your timeline or put a clip in a blank space, Overwrite works well for this. Unlike Splice-In the timeline does not grow in total length (unless you are Overwrite Editing a clip at the very end of the timeline). Have tracks selected and In and Out Points around a portion of your timeline. Hit C and this area gets copied to Media Composer’s Clipboard. 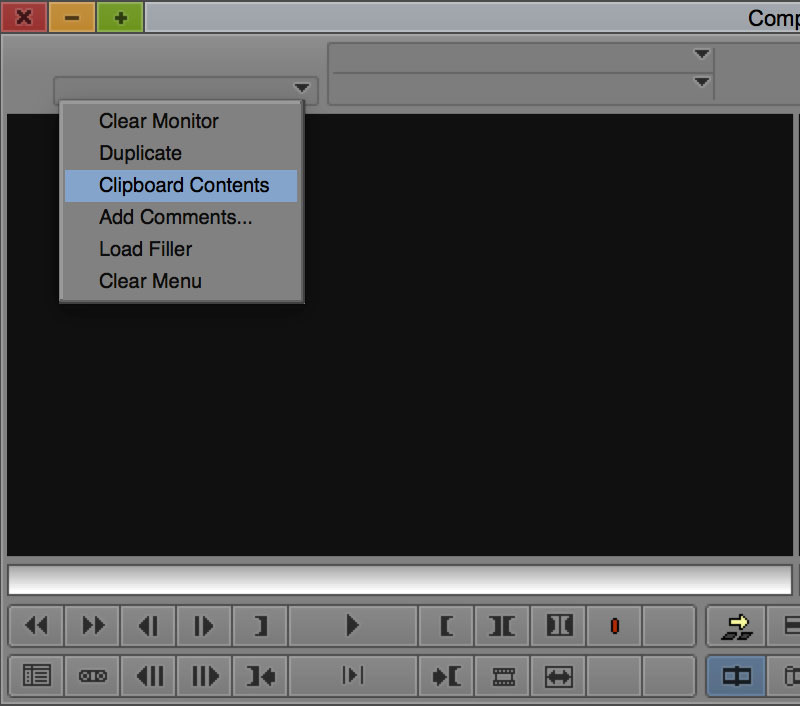 Under the dropdown in the Source or Record Monitor (the clip/sequence’s name) you can select Clipboard Contents. Then that section will appear in the monitor. I don’t find this useful one bit. I understand the concept and how it could be used but for me there are too many clicks to make this work quickly. The next shortcut however, which is related to this one, is one I couldn’t imagine editing without. Adding Option if you’re on a Mac or Alt if you’re on a PC with C will throw your selection straight to the Source Monitor. Essentially it works like hitting Cmd+C/Ctrl+C would work in Word or anywhere where you are typing text. You are copying the selection and putting it in the Source Monitor. This is soooooooooo useful. One way I like to edit is to throw all my footage onto my timeline. I shove all the footage down to the end and leave myself 15-20 minutes of blank space at the beginning of my timeline to start putting together my video. I go through the footage and find a shot I like, select it, hit Opt/Alt+C then paste it at the beginning of my timeline. Then I repeat for the rest of the footage. I’ll begin to put a couple shots next to each other and rearrange them. When I’m done I have a very basic rough cut or at least have eliminated a lot of the bad footage and have some parts of my video starting to build. This is all because of Opt/Alt+C. The other thing this is useful for is copying from one sequence to another. Select a portion of your sequence, hit Opt/Alt+C to throw it in the Source Monitor, open up the other sequence and Splice-In or Overwrite Edit it into it. Note that if you close the bin with your first sequence in it the Clipboard Contents will close as well. I edited for about four years without realizing or knowing about Opt/Alt+C. This one shortcut made me a much faster editor. I’m absolutely positive of that. 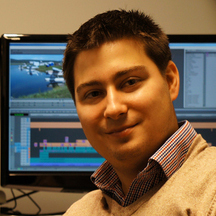 Splice-In is to placing a clip on the timeline as Extract is to removing one. With an In and Out Point selected on the timeline, hitting X will Extract whatever was selected. If the tracks are locked, all the tracks will collapse that area. If the tracks are unlocked only the selected track(s) will collapse that area – this gets tricky if you have elements on different tracks that should be kept in sync and you forget to select one of those tracks when you hit X; you’ll get knocked out of sync and sometimes you won’t realize it until much later when a couple undos won’t get you back to normal. To sum up: When you Extract you collapse an area removing everything inside it. This performs the same removal of whatever is selected but what’s removed gets sent to the Source Monitor. This is useful if you want to move a clip or portion of your timeline from one part to another. Setting an In and Out Point in the timeline and hitting Z will Lift whatever is in the In and Out Points on the selected tracks. However instead of collapsing the area it leaves it as blank space. Performing a Lift does not effect the overall length of your timeline or tracks (unless it is at the very end of the timeline). This performs a Lift the exact same way but it sends what is removed up to the Source Monitor. Again, this is useful if you want to move a clip or portion of your timeline from one part to another. Pop Quiz: How would you describe the difference between Lift and Extract? Leave your answer in the comments! 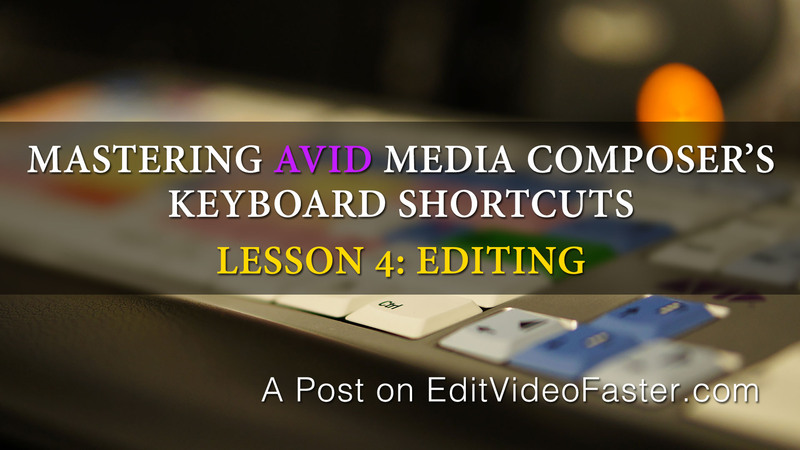 That’s all the shortcuts for Lesson 4 of Mastering Avid Media Composer’s Keyboard Shortcuts. Ready for Lesson 5? Click here (or the image below) to go to it. Until next time remember to practice! Practice, practice, practice! Try to incorporate a new one each day until the next lesson comes out. You got this. One new shortcut a day…okay? Like I said earlier give me a shout if you have any questions. Leave me a comment below, message me through my contact page or send me an email – josh [at] editvideofaster.com. See you in a few days! While both functions remove what is selected between an In and Out Point on the selected tracks, Lift will leave the area blank while Extract will remove the area completely collapsing it together. Did you say something like that?